Here is a Link to my October 2012 trip down Agawa Canyon. Be warned it is a pic heavy post and pictures may make you want to go there! Follow the links to the Story. 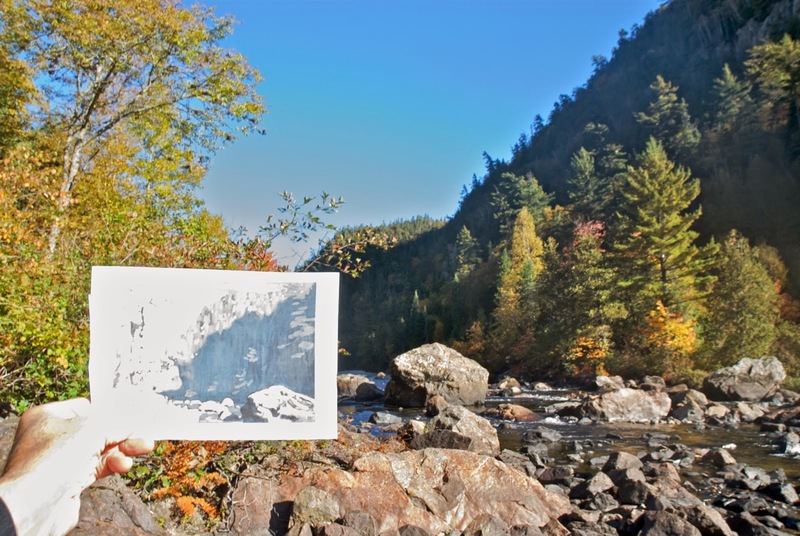 This is a Lawren Harris Location "On the Agawa river, Algoma"
I thought with the opening of the Painting Canada - Tom Thomson and the Group of Seven you might enjoy of seeing how some of the locations they painted in look today, at least in the Agawa Canyon of the Algoma region. Below are some links to trip reports, both fall and winter and images where they painted. The Image above is of a an area where A.Y. Jackson painted. and then visit the Show at the McMichael collection. Here are links to my albums.